Police on Sunday arrested seven people in Karachi in connection with a viral video of a young man firing into the air on Shahrah-i-Faisal and using foul language against an unknown person, a day after Sindh Inspector General of Police (IGP) A.D. Khowaja and Home Minister Sohail Siyal took notice of the incident. 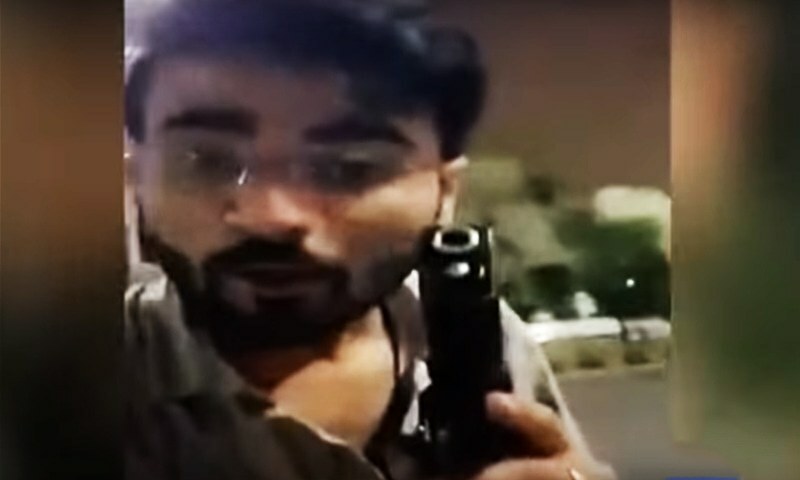 The video which began circulating on social media on Friday night shows a man, who identifies himself as Adnan Pasha, waving a gun and firing shots into the air on an empty road that he claims is the main Shahrah-i-Faisal in Karachi. Amid expletives, Pasha challenges — it is unclear who — “to stop him if they can”. In a second video released later, Pasha accuses one Zeeshan Saeed, alias Shani, of having his father killed and threatened him with consequences. Home Minister Siyal and IGP Khowaja ordered a probe and a report on the matter. Police on Sunday said they raided the residence of Pasha’s in-laws in Gulistan-i-Jauhar Block 11, his office and a mobile market in addition to his own residence. A total of seven people were taken into custody, including two brothers-in-law of Pasha, who police say has escaped along with his wife and sister. In another video message released Sunday, Pasha can be seen apologising for the incident, however, he says he just fired two bullets which was was his way of channelling his anger regarding his father’s death. He repeated his allegations regarding Saeed being involved in his father’s murder and said that he was still receiving threatening phone calls from him.